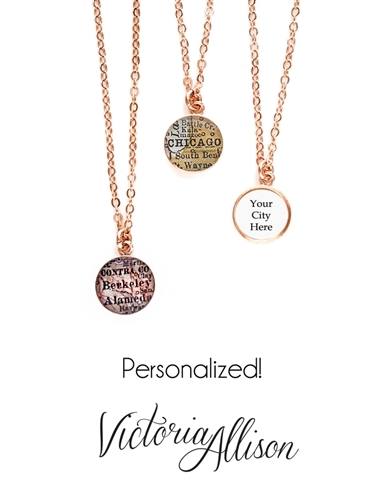 The map in your necklace will be printed from my personal antique atlas collection. The atlases are around 100 years old and sadly do not include *all* cities, so some small towns may not be available. Please feel free to contact me first and I'll be happy to check for you! All major cities are available. Specific street addresses, states, countries, or landmarks are not possible for this design, only city names. Please write in your city choice in the "Note to Seller" box on the shopping cart/checkout page. 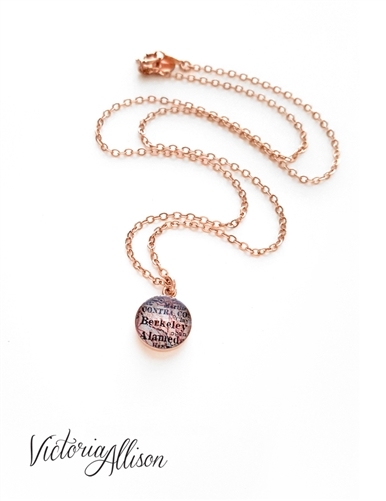 This necklace is made from 14k rose gold-filled materials. (Not gold plated metal!) Gold-filled jewelry offers a thick layer of gold bonded to a base material. It is much more durable and longer lasting than the thin layer used on plated materials. The map is protected with multiple layers of jeweler's resin, with a slightly domed top. 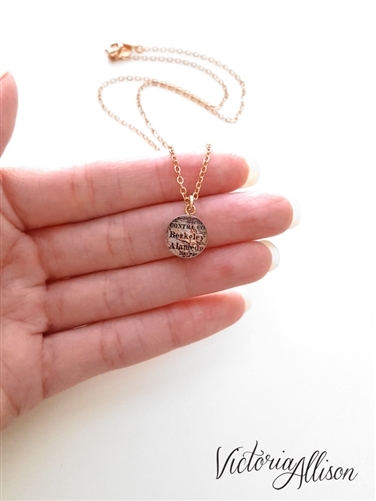 It is a water-tight seal, but as with all jewelry, I recommend keeping your necklace dry and avoiding contact with liquid/chemicals to preserve the finish. 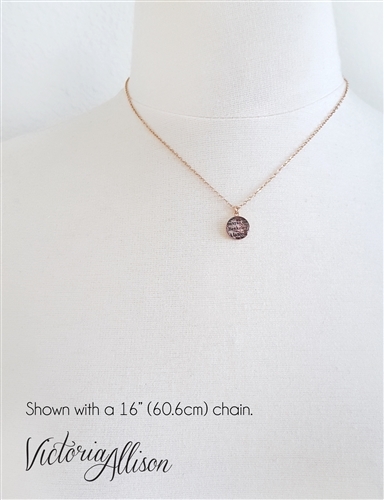 You may clean the necklace with a soft cloth or warm water with a gentle soap, taking care to avoid the resin covering the map.